Interviews with a range of professionals who document (in various ways) the Middle East. Very interesting piece on Duss - a great guy who is a refreshing change from the usual "blob" types. Views from Joel Beinin, Noura Erakat, Omar Baddar, and Mouin Rabbani. Mood at AUC must be pretty nasty. Eldar Mamedov on Riyadh's clumsy EU lobbying. Yasmine Farouk on U.S. dilemmas in supporting Saudi activism. Randa Mostafa on the gouging of Egypt's judiciary by the executive. Adam Goldman reports on a bizarre but remarkable story. Very little is the consensus, but good background here. Rana Allam offers goof overview - but is this about military rule, or Sisi rule? 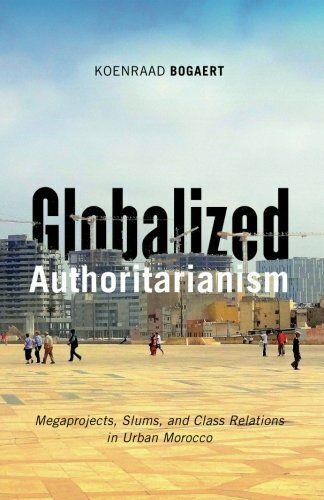 US group of scholars offers a new paradigm – but many cities contested. Constitutional amendments "would undermine judicial independence and expand executive powers that are already being abused". On MbZ - interesting stuff about his maritime strategy and prospective alliance with China. When it comes to the Syrian war, a “relevant political consciousness” is precisely what does not exist. The French website Mediapart has an interesting scoop by Arthur Herbert about the crash of a Rafale jet just as French President Emmanuel Macron was visiting Egypt. According to the report, the crash took place on 28 January, on the day that Macron met with Egyptian President Abdelfattah al-Sisi: they were discussing some €1.5bn’s worth of contracts being negotiated and Macron let Sisi know that he would bring up human rights concerns in a speech later that day, a rare mention of the topic ever since, under Macron and his predecessor François Hollande, France became one of Egypt’s top cheerleaders in the EU. A Rafale jet piloted by Major Mohtadi al-Shazli – one of the first Egyptian pilots trained to use the Rafale after their initial purchase in 2017 said to be involved in the May 2017 raid on Derna in eastern Libya – crashed for unknown reasons. No one wants to discuss the crash, particularly as Egypt is negotiating the purchase additional Rafales, which at over €100m a piece (24 were bought in 2015, most probably with at least some UAE or Saudi co-funding or guarantee, more are scheduled despite the Egyptian Air Force already having a considerable fleet of other modern fighters, especially American F-16s) are the subject of controversy since the country has faced a major economic downturn in recent years and Sisi has massively increased spending both on defense procurement (especially with France and Germany) and prestige projects such as the widening of the Suez Canal. Until a few years ago France struggled to sell the Rafale, and Egypt’s purchase was a major coup – should a technical problem be at fault, it could cause problems for future contracts. Egypt appears to have tried to cover the story, and even spread rumors that the jet in question was a Chinese K-8E Karakorum rather than a Rafale, and most French officials are refusing to comment. Lundi 28 janvier 2019. Il est peu après 13 heures. Au Caire, Emmanuel Macron en visite d’État en Égypte, sort d’un entretien avec son homologue Abdel Fattah al-Sissi. C’est une visite compliquée : alors que l’Élysée avait annoncé la signature d’une avalanche de contrats pour près d’un milliard d’euros, plusieurs ne seront finalement pas signés ou contre toute attente transformés en simples protocoles d’accord. Le chef d’État français a aussi prévenu : si un an et demi auparavant il avait donné un blanc-seing au président égyptien en affirmant ne « pas vouloir donner de leçons », cette fois à la conférence de presse qui est sur le point de se tenir, il évoquera ouvertement les violations des droits fondamentaux qui ont cours en Égypte. L’ambiance est pénible. Dans la grande salle à dorures du palais présidentiel, une quarantaine de journalistes sont en train de s’installer. Derrière les grandes portes en bois marquetées, quelques secondes avant de se présenter devant la presse, une autre mauvaise nouvelle est glissée à l’oreille du président français : un Rafale vient d’être perdu. Peu de temps avant, à 100 km au nord-ouest du Caire, sur la base aérienne militaire de Gabal al-Basur, le Rafale EM02-9352 des forces armées égyptiennes vient de s’écraser. Sous les yeux d’une équipe de formateurs et d’experts de Dassault Aviation, l’appareil flambant neuf, livré le 4 avril 2017 à l’Égypte a piqué du nez avant de se fracasser au sol. À son bord, le major Mohtady al-Shazly, un pilote de l’armée de l’air égyptienne, connu sous le matricule « Cobra », était l’une des toutes premières recrues entraînées en France pour piloter les Rafale fraîchement acquis par les Égyptiens. Originaire du village d’al-Atarsha, dans la localité d’al-Bagourg au nord du pays, l’homme de 32 ans, père de deux enfants, a été enterré le soir même en présence du gouverneur de Menoufyia. Lors des funérailles et sur les réseaux sociaux, l’homme est porté en « martyr ». On lui attribue notamment les bombardements égyptiens contre l’organisation de l’État islamique à Derna en Libye en mai 2017. Une opération menée après l’attaque qui avait tué vingt-huit fidèles coptes près d’al-Minya. Contactés quelques heures après l’accident, les responsables de Dassault Aviation étaient injoignables. Au même moment, Éric Trappier, dirigeant de l’entreprise qui construit les Rafale, était dans la délégation qui accompagnait le président français au Caire. En dehors du petit cercle directement touché par la nouvelle, les officiels et les directeurs d’entreprise faisant partie du voyage n’ont pas été tenus informés, a confié l’un d’eux. Devant un parterre de Français expatriés au Caire et d’Égyptiens francophones conviés à une réception tenue par le président français le soir même, à la tribune, lorsqu’il s’exprime devant le public, Emmanuel Macron tente de ne rien laisser percevoir. Dans l’assistance, on remarque néanmoins « un discours brouillon, comme s’il avait été mal préparé ». « On aurait dit qu’il venait juste de se prendre un gros scud dans la tête », ironise innocemment un invité. Having not posted links since last August (it’s been a very busy few months), I am now resuming more regular linking. Look for them once a week or so - in the batch below, the more recent ones are on top, the rest may date back several weeks or even months. Fantastic piece by Ben Taub. Michael Young interviews Dmitri Trenin on Russian policy in the Middle East. Adam Shatz on Frantz Fanon and Rocé's new album "Par les damné.e.s de la terre". Jacob Mundy and Alice Wilson. Mada's reporting has been excellent on this. Asa Winstanley, on al-Jazeera's unreleased undercover documentary "The Lobby". Nadia Hijab and Mouin Rabbani. Daniel Bessner and Isaac Stone Fish, on the Uighur tragedy. Review of Fintan O’Toole's "Heroic Failure: Brexit and the Politics of Pain." Review of Shoshana Zuboff's "The Age of Surveillance Capitalism". Great to see NYT columnist Michelle Barber speak out on Palestine on MLK Day. New website by Cairo Center for Human Rights Studies. Delightful text unearthed by Tim Parks. McKinsey, BCG, Booz Allen Hamilton involved in repression. Great work by the ACLU. Emadeddin Muntasser And Mohamed Fouad. Giorgio Cafiero on the fascinating geopolitics of shipping. Parastou Hastouri on Europe's migration policies. Zeineb Ben Yahmed on Tunisia's COLIBE report on individual freedoms. Thierry Bresillon on Tunisia's proposed inheritance reform. And Tunisia, Cameroon, Libya and Kenya. I wrote at length about Marie’s problems with alcohol. Although she was professionally successful, had a supportive network of close friends and a life she enjoyed in London, she was often unhappy and at times despairing. Her last boyfriend, Richard Flaye, told me that sometimes when he stroked her, he would feel tiny, sharp pieces of shrapnel accumulated over a lifetime working their way out of her skin. It was as if her body was trying to rid itself of all the horror she had experienced. That, then, is the danger of the myth of Marie. What bothers me is not that she went too far to get the story but that she was careless with herself, both her body and her mind. Her story is not just exemplary, but also cautionary. These days, editors are far more aware of the dangers of PTSD, but young journalists, often freelance, determined to make their name, may still underestimate the toll the life may take on them. Not all war correspondents are traumatised or injured, but many find it hard to maintain stable relationships. Marie’s private life was a war zone, just like the conflicts she covered — there was nothing glamorous about her suffering. Following the 2011 Arab uprisings and its innumerable tragic outcomes, Berlin was strategically and politically ripe to emerge as an exile capital. For some time now, there has been a growing and conscious Arab intellectual community, the political dimensions of which to fully crystalize is what I wish to further explore. When the storm of history breaks out a tectonic political crisis, from revolutions to wars to outright persecution, then a designated city will consequently serve as the gravitational center and refuge for intellectual exiles. This is, for example, what New York was for post-1930s Jewish intellectuals fleeing Europe, and what Paris became for Latin American intellectuals fleeing their country’s dictatorships in the 1970s and 1980s. Against those historical precedents, the Arab intellectual community in Berlin needs to understand itself better, moving away from an auto-pilot arrangement, and become actively engaged with political questions that face it. In effect, there is a dire necessity for this community to acquire a name, shape, form and a mandate of sorts. With a vigorous eye to a possible long-term outcome, this may include a school of thought, a political philosophy or even an ideational movement – all cross-fertilized through a deeper engagement with the Arab world. This is certainly not about beckoning revolutions and uprisings, nor to relapse into the stale talk of institutional reforms. 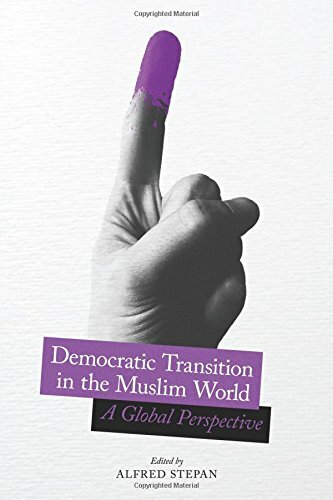 If anything, there needs to be a move away from these tired tropes of transformation – away from quantifiable power dynamics that do not address matters that go deeper, into the existential level that shores up the transnational Arab sphere. This is the very area where the stream of human life animates a language of awareness and the recurring initiative helps to expand the spaces of dignity for fellow beings. Yet, this area is currently ravaged in a torrent of moral misery and spiritual crisis. Having travelled to Berlin multiple times in the last few years, and knowing quite a few Arab exiles there and the wider German community that often hosts them – think-tanks, stiftungs, universities, etc. – I am struck by the emergence of the city as a genuine hub for quite varied Arab intellectual activity and political activism. For Egyptians in particular (Amro is Egyptian), it has been a sometimes difficult host: the Egyptian embassy is unusually active in following the diaspora community, sending its goons to disrupt gatherings, defend the Sisi regime at conferences, and I’ve heard reports of harassment of certain activists there. Angela Merkel’s government has been usually craven (for Germany, that is, which unlike say France or Italy has tended to defend human rights more consistently in the past and have fewer economic interests in the Arab world) in pandering to the Sisi regime, staging state visits and at the EU level refraining from much criticism. Part of this is driven early bets Sisi made on German business, including very lucrative contracts for Siemens and for the German defense industry, but also by Merkel’s need to watch her right flank after her (admirable) intake of mostly Syrian migrants in 2015: she has sought to present Egypt as a partner in countering migration flows across the Mediterranean, although one might be skeptical about Egypt’s minor role in the migration crisis of the last few years and its ability to contribute. But it has been welcoming to a wide array of people escaping their home countries, and Berlin has become a hub of sorts: as Amro argues, it is less politically tendentious, easier to access, and cheaper than other major Western cities with large pre-2011 Arab communities. It also more diverse and is a city that has, due to its peculiar history and relatively cheap rents, been welcoming to artists, students and bohemian life more generally. Amro’s essay is as much about the particular of appeal of Berlin as a city, rather than Germany, as it is about the condition of Arab exiles in the ongoing current great Arab exodus (perhaps not seen as region-wide as it is today since the 1970s) . An interesting essay that meanders through the history of the city, the status of exile, and the role of intellectuals in political activism; well worth reading. What is presented today as the peace process is in fact little more than a tag-team bullying effort by the powerful parties—Israel and the United States—against the stateless Palestinians. Yet the alternative path still exists. It harks back to the simple and universal formula of demonstrating to the powerful and inflexible party—Israel—that the occupation and the new realities that have been created (settlements, displacement, closures, discrimination) will not continue to be cost-free. That will require the kind of popular and nonviolent mobilization in Palestinian society that has proved largely elusive for the last quarter century, alongside some combination of externally imposed sanctions, diplomatic pressure, and legal accountability—all of which Israel has invested heavily in averting. Only when Palestinians regain some leverage as they did during the First Intifada will Israel begin to rediscover the need to seek common ground and what it means to think in terms of win-win scenarios rather than zero-sum equations. It is because the parties should not have started negotiating in the first place. To demand that Palestinians - living under Israeli military rule - negotiate with their occupier and oppressor is akin to demanding that a hostage negotiate with their hostage taker. It is repugnant that the world demands that Palestinians negotiate their freedom, while Israel continues to steal Palestinian land. Instead, Israel should have faced sanctions for continuing to deny Palestinians their freedom while building illegal settlements. It's not complicated, Germany: being pro-BDS comes from the same values as being anti-Nazi. Late last month, the US House of Representatives’ Foreign Affairs Committee approved the latest version of the Israel Anti-Boycott Act, which is now one step closer to becoming law. The bill was introduced to Congress in March 2017, with the aim of prohibiting American companies from assisting international governmental organisations with boycotts against Israel. These organisations include the UN, whose high commissioner for human rights was tasked two years ago with drawing up a database of companies doing business in the illegal settlements in the Occupied Palestinian Territory, and the EU, whose trade regulations discourage business with settlements but fall short of prohibiting it. Even an individual in the US who supplies information about infringing companies to these bodies could be liable to a civil fine of up to $250,000, or a criminal penalty of up to $1 million. The original version of the bill, which was amended after considerable pressure from civil society groups, would also have imposed prison sentences of up to twenty years. The Israel Anti-Boycott Act, which enjoys the support of more than half the members of both chambers of Congress, is part of a wave of US legislation aiming to counter the Palestinian-led Boycott, Divestment and Sanctions movement (BDS). Twenty-five state legislatures have enacted some form of anti-BDS law, with more bills being considered in all fifty states and at the federal level. State governors are currently considering whether or not to issue executive orders that prohibit state agencies from entering into contracts with companies and institutions – including universities, which led the way during the anti-apartheid boycott in the 1980s – that are involved in boycotts of Israel. Maryland, Louisiana, Wisconsin and New York have already issued such orders. After signing his, in June 2016, Andrew Cuomo declared in the Washington Post: ‘If you boycott Israel, New York will boycott you.’ It isn’t just that those who participate in or help enable boycotts are boycotted themselves, or criminalised; people with no connection to activism are also caught up in ludicrously punitive interpretations of the law. After Hurricane Harvey hit Texas last year, residents in the city of Dickinson had to declare – as a condition for receiving relief grants – that they did not or would not boycott Israel. Do check out the latest episode of the Bulaq podcast, in which Marcia and Ursula talk to the legendary Karl Sharro aka @KarlRemarks about his new book and more. And buy Karl's book, his Twitter account alone is a public good for mental sanity! The links for the last couple of weeks are below. General amnesty proposed for Rif convicts. Important column on Rif verdict in Morocco. Tom Stevenson in LA Review of Books. Seymour Hersh on Syria: "There's no such thing as a chlorine bomb"
This is an outrageous injustice. Interesting paper on how Russia is actually running the Syrian army. Almost everything in this Zvi Bar'el article is ludicrous. On Palestinan youth in Lebanon. Excellent overview of EU migration debate, which seems to boil down for Macron-Merkel to processing camps for migrants in Southern Europe and North Africa (neither wants them). Great reporting by @madamasr on Orwellian housing project: no trees, no shops, no vendors, and guards at the gate! And not enough cheap homes. Pretty shocking stat from Oliver Miles: over 1200 workers have died in last 3 years in Qatar, largely on World Cup 2022 projects. Frederic Wehrey and Wolfram Lacher - yup! Who gets to tell Iraq’s history? Avi Asher-Shapiro on the NYT ISIS document affair. There were six series praising the police on Egyptian TV this Ramadan. I really wonder why he is considered one of the most important people in Al Qaeda if he was just OBL's driver. Ramadan series think blackface is funny. Pankaj Mishra on liberal internationalism. Morocco’s Religious Diplomacy: To What End? Nesrine Malek on Ali, Nawaz, etc. Funny how that happens when you arrest and blackmail your businessmen. I have an essay in The Point magazine -- a Chicago-based magazine on culture and politics -- that I spent many months working on. It is about Americans abroad, the damage we do, the innocence we claim, the stories we tell -- and also, perhaps, the responsibility and solidarity we could take on. It's about Suzy Hansen's journalist memoir "Notes on a Foreign Country," -- and about Henry James, James Baldwin, and Omar El Akkad among others. And it has more auto-biography than I usually include in any of my writing. From Istanbul, Hansen traveled to report from Greece, Egypt and Afghanistan, only to discover from wry, patient locals that the crisis each country is currently undergoing can be explained by a history in which U.S. intervention figures prominently. In Afghanistan, she attends a Fourth of July party at the American embassy. There is a billboard outside the embassy that reads: “the u.s. embassy would be grateful if any of our friends who have information on terrorist activity or threats to please come to this gate.” There is a five-by-seven-foot American flag made out of cupcakes. The red, white and blue balloons keep popping from the heat, setting the crowd of Afghans and Americans, fearful of snipers, on edge. General David Petraeus and the U.S. ambassador dodge difficult questions from Afghan guests and deliver platitudes. It strikes me as a luxury and nearly an affront to be as sentimental and naïve as this. It’s not that we shouldn’t sympathize with Afghans and others—it’s that such an expression of sympathy, in which one’s own guilt and shock takes center stage, isn’t worth much. Meanwhile, many of the people I’ve met out in the world who are really up against it—who by circumstance or choice live terribly exposed—wear the risks they run matter-of-factly, the bearers of what Baldwin calls an “ironic tenacity.” They are knowing, daring, uncomplaining. I guarantee you they waste no time being shocked by the platitudes of U.S. ambassadors. When I read this, a phrase of another writer immediately came to mind. “I hate tragedy,” wrote Waguih Ghali, a penniless alcoholic and suicidal Egyptian who, in self-imposed exile after Gamal Abdel Nasser came to power in 1956, wrote one of my favorite novels. Beer in the Snooker Club contains passages that still make me laugh out loud. Egypt, the Arab country I lived in for many years, has one of the best and darkest strains of humor I’ve ever encountered. It does not come natural to me but I have often witnessed its gift, the way it can lift the pall of fear and death. It’s the laughter of survivors, balanced right on the edge of hope and hopelessness. And check out the rest of The Point, there are many great pieces of writing there. 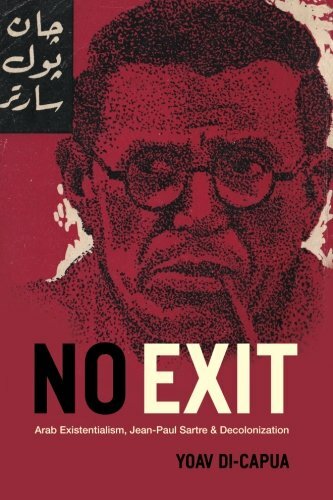 I just received a copy of No Exit, Yoav Di-Capua's new book on Sartre and Arab intellectuals (it is essentially an intellectual history of the post-colonial Arab world) and its cover is very, very cool. I very much enjoyed Di-Capua's last book, Gatekeepers of the Arab Past, a great historiography and was happy to meet him in Austin (where he teaches at the University of Texas) on the sidelines of South By Southwest a few years ago. It'll be some more rigorous reading than I'm doing now (I've been devouring Cixin Liu's The Three-Body Problem sci-fi series, see great reviews here and here) but looking forward to it. 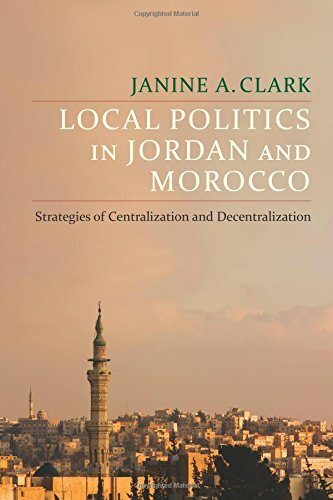 Also recently received are two books on Morocco (and Jordan) – it's relatively rare that you get serious and in-depth English-language scholarship on Morocco, so good to see that – and a collected volume edited by Alfred Stepan including many A-listers and friends (Rached Ghannouchi, Carrie Wickham, Nathan Brown, Monica Marks, Radwan Masmoudi, etc.) that looks at the Egypt vs. Tunisia question post-Arab Spring. With chapter titles like "The roots of Egypt's constitutional catastrophe", it's pure Arabist geek-bait.